There it was in an email I had received. I predicted out loud to my wife on our way home from church that another one was slipping away. My mind raced to figure out what I could do to tighten my grip so I could hang on a little longer though I was fairly certain there was nothing I could do. I’d been there before, and every time it was disappointing. But I’m ahead of myself. I like the movie The Guardian. It is the story of two Coast Guard rescue swimmers Jake Fischer and Chief Ben Randall. Jake arrives at the Coast Guard Academy a cocky, yet determined, recruit who is driven by an inner need for absolution. Randall is ready to retire from the Guard but answers one last assignment to train this incoming class of recruits. Trying to prove himself, Fischer is determined to break all the swimming records at the academy, especially when he learns that the records belong to Randall. He succeeds, but there is one record that especially interests him: his chief’s number, that is, the number of people Randall had rescued. Unlike the other swimming records, that number wasn’t posted anywhere. Later in the movie after Fischer and Randall have worked through some important issues and are serving together on rescue operations, Fischer puts the question to his chief. That dialogue haunts me and here’s why. When asked what “their number” is, pastors like me tend to gravitate to the number of members in the church, the number of attenders at worship services and special events, the number of people who walked the aisle, or even the number on the bottom line of the budget. In other words “our number” is a success number; a number that somehow validates us as leaders. I get it because I’m prone to do it. When Jesus talks about a pastor and church He uses the language of shepherding a flock of sheep. That is what the term “pastor” means, shepherd. A local church is a flock of sheep under a shepherd’s care, the assignment to which is made by the Chief Shepherd, Jesus Christ. As I read the New Testament I come to the unmistakable impression that it is really important to watch over the flock so as not to lose one. Losing sheep is undesirable, whether the loss is due to a wolf, a thief, or a sheep’s own wandering away. If the shepherd owned the flock, he was protecting his own property and livelihood. If he didn’t own the flock, he was accountable to the real owner to care for the owner’s flock and responsible to not lose any of the owner’s sheep. So important was it to not lose any sheep that Jesus told a parable about a shepherd who left ninety-nine safe, healthy, protected sheep to go look for one lost sheep. He told that parable because that’s the kind of shepherd Jesus is. Some think you ought not to obsess about such things as lost members because it can be too discouraging and thus counter-productive to pastoral ministry. To keep that number in your mind seems to sacrifice too much attention to failure which can be defeating for a pastor. I respond by saying that I don’t obsess over lost sheep but I do remember. I don’t remember them all by name, so I don’t have a fixed number in my head, but I do know there is a number, and for certain, the Chief Shepherd knows what it is. Thank God for a gracious Chief. I know I won’t be 100% successful in finding and recovering all the strays. Not all the sheep of our earthly flocks belong to God’s flock which means the pursuit of straying sheep who think they’re in God’s flock but aren’t will usually be in vain. Not truly belonging to Christ, they don’t hear His voice and thus they don’t follow Him (John 10:27), and if they don’t hear the Chief Shepherd’s voice they won’t hear the under-shepherd’s voice either. Not only that, the shepherds of the flocks are not perfect like the Great Shepherd and they disappoint their sheep. Sometimes disappointed sheep look for greener pastures, healthier flocks, and better shepherds, and they won’t have to look far to find what they’re looking for. In spite of all of this, it is good to know that we have a Shepherd who will not lose one of His own sheep (John 18:9)! I rejoice in every sheep the Lord brings into the flock under my care and I want to give them my undivided attention. But there is a part of me that remains regretfully aware of the ones I’ve lost. 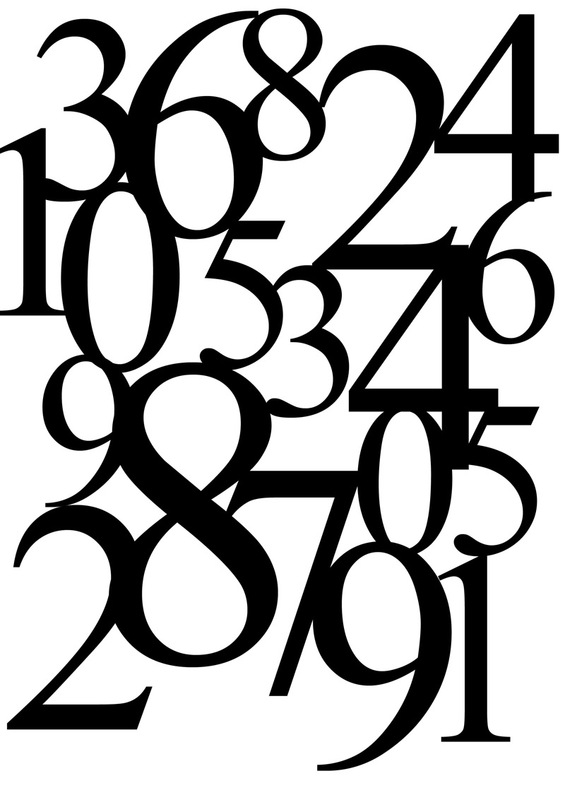 I don’ t think there is anything to be gained by keeping a number, but lest any of us pastors become too enamored with “our numbers,” it’s not a number to ignore, because every soul matters to God. This entry was posted in Uncategorized and tagged Chief Ben Randall, Chief Shepherd, Church, Jake Fischer, Jesus Christ, Leadership, Ministry, Pastoral Work, shepherd, Shepherd Jesus. Bookmark the permalink. 1 Response to What’s Your Number, Pastor? you are right about every soul matters to GOD. unfortunately, not all shepherds really care about their flock. ministry for them became more self-serving. i know that some after a while become tired and become too familiar with their ministry and become “careless” as you said. life is hard in itself both for the shepherd & the flock and that is definitely understandable. somehow people disappoint people because we are so fallible. what we sometimes can do is approach the GREAT SHEPHERD about the lost and wandering ones that HIS grace & mercy will continue to follow the stray ones & that HE directs them to where they should go. the ones you might think of as lost are really found in others’ flocks as HE directs them. we can always remember HIS word in John 6:37-39, 44; 10:29, 30. it is so encouraging to know that there is SOMEONE WHO is in control of all lives and truly capable of keeping the wandering ones. what we can ONLY do in times of uncontrollable circumstances is to pray. we pray for them & we pray for each other and trust our GREAT SHEPHERD’s heart. HE will remain gracious, merciful and faithful. we are all recipients of these, so we should never forget that HE remains as such to everyone HE has drawn to HIMSELF. thank you for your sensitivity to this matter. i was from a different flock but i’m under yours now as THE GREAT SHEPHERD directed me.i praise HIM always & i thank HIM for you, pastor. by the way, happy pastors’ appreciation month!